Robert Forbes’s approach to client relationships is that they’re a long-term commitment; importantly, he takes on the fiduciary responsibility on their behalf. For clients, that means Stadden Forbes has an ethical responsibility that’s over and above what you’d normally expect from a bank or broker. 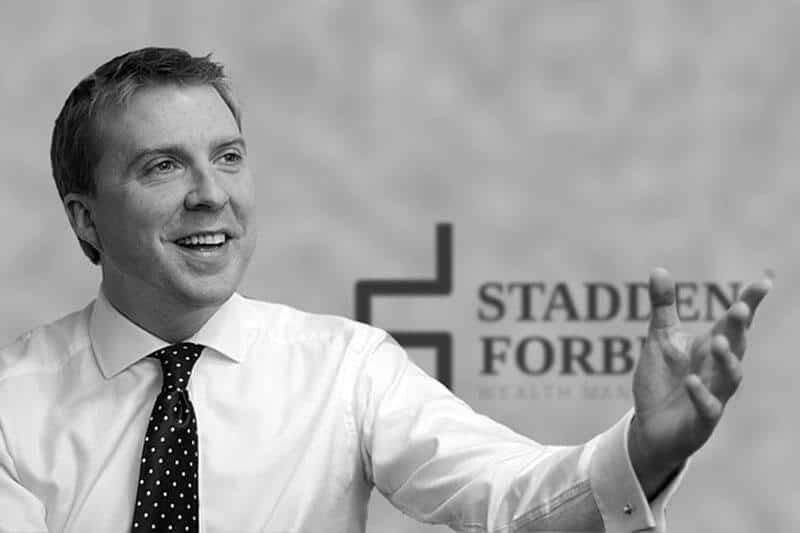 Robert’s three-step approach to working with clients is beautifully straightforward: first, he plans the overall strategy for the future; then with the financial planners designs the optimal architecture; finally, the Stadden Forbes investment engine to power the plan. With a highly collaborative team, it’s possible to solve the challenges of today and plan for tomorrow with confidence. Robert recognises that one of the problems clients face with financial matters is a bewildering array of choice. His approach is to create the time and space to consider the key options with you, and build a plan based on your specific needs away from the cacophony of noise from banks, brokers and comparison websites. Away from Stadden Forbes, Robert spends any free time sailing, cycling and running. In the past he has run ultra-marathons, including the Marathon des Sables, and cycled long distances in competitions such as the London-York One Day Classic. He plans to cycle across America soon. Robert travels frequently, but always complains that it’s not enough. He intends to travel to both the North and South Poles and the end of the Earth before his time is up. One of his great passions is wine, and his medium-term plan is to buy a vineyard in the Rioja region of Spain. Email Robert Forbes at robert@nullstaddenforbes.com.